Real estate tips for buying, selling, owning, investing, renovating and more! 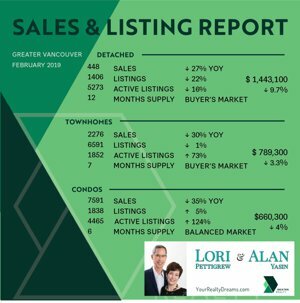 Plus stay up to date on the real estate market, new developments, mortgages, and what's happening in Greater Vancouver. Did you know that Vancouver, BC has an extensive network of cycling routes? 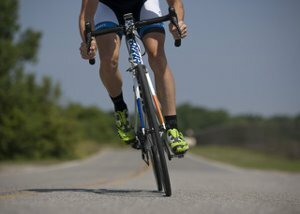 Whether you'd like to bike in the River District along the Fraser River, or head to Kitsilano or Downtown, there are a wide variety of biking routes available. Some bike paths are designated specifically for cyclists and have a protective barrier to keep you safely away from cars. For example, many downtown streets, including Burrard Bridge, Carrall Street, Comox/Helmcken Street, Dunsmuir Street, Dunsmuir Viaduct, and Hornby Street, have protected bike lanes. Others are bike paths along Vancouver's streets with either an unprotected lane or a shared lane. 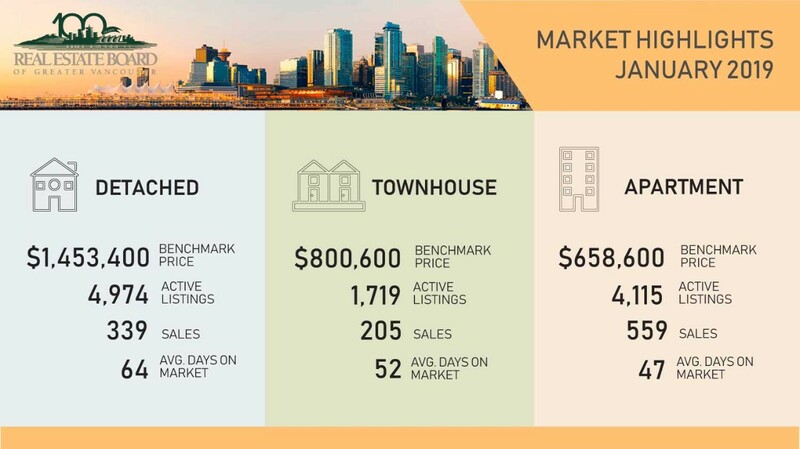 To view all the details of the current Greater Vancouver, Fraser Valley, Vancouver West and Vancouver East real estate market statistics and graphs, just click the desired buttons below to open a detailed PDF report. We’re experiencing a shift away from a buyer’s market. 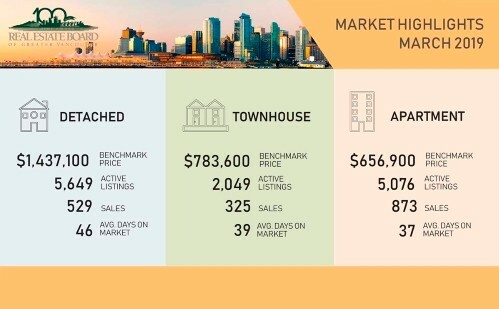 As we've expected, this is occurring for all residential property types at the lower price points or for desirable well priced condos, townhouses and houses. This shift is evidenced by the extremely busy open houses, some instances of multiple offer situations and even some properties selling over asking. Many parents are helping their children buy their first home by providing money for their mortgage downpayment. If you are also thinking of helping your kids with their home purchase, you may want to consider the Family Equity Plan instead of gifting your cash directly to your children. What's Really Happening in the Vancouver BC Real Estate Market? 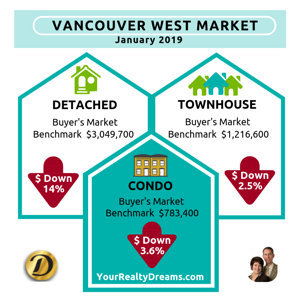 Typically, the Vancouver real estate market experiences a balanced or seller’s market conditions. However, as you’ve probably heard, it’s now a buyer’s market. Historically, these shifts in the market last 6-12 months. The market conditions for strata properties started to change in the summer of 2018 (for detached, it was the summer of 2017). So, if you’re thinking of buying, now is the time to take action. You must declare! If you live in one of the areas targeted by the B.C. 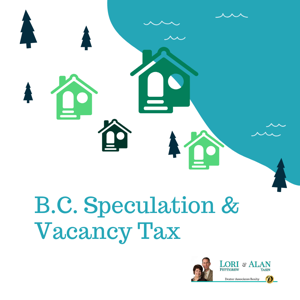 Speculation and Vacancy Tax, every person on the title of your home will receive a letter with instructions on making your declaration. 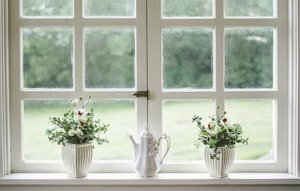 Regardless of whether it's your primary residence or not, and whether it's vacant, tenanted, or you live in it, each owner must make a declaration.